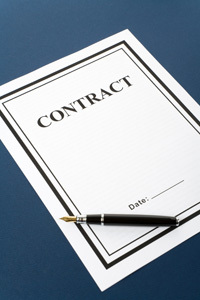 Do Both Spouses Need to Sign Contracts? April 13, 2018 March 14, 2018 / Julie Brook, Esq. When one spouse is entering into a contract, is it legally required that the other spouse also sign it? And what would be the ramifications if the other spouse didn’t? Community personal property. Family Code §1100(c) prohibits a spouse from selling, conveying, or encumbering community personal property “used as the family dwelling, or the furniture, furnishings, or fittings of the home, or the clothing or wearing apparel of the other spouse or minor children which is community personal property” without the other spouse’s written consent. Community business property. A spouse who’s operating or managing a business (or an interest in a business) that’s all or substantially all community personal property may act alone in all transactions, but must give prior written notice to the other spouse of “any sale, lease, exchange, encumbrance, or other disposition of all or substantially all of the personal property used in the operation of the business”—regardless how the property is titled. Fam C §1100(d). If the required notice isn’t given, the other spouse has the remedies set out in Fam C §1101 (including, e.g., a right to an accounting), but the validity of the transaction or of any interest transferred isn’t affected. Fam C §1100(d). Securities. Under Corp C §25246 (a criminal statute), it’s unlawful for any broker-dealer or agent to require, as a condition to the purchase or sale of securities in the name of a married person, that the prior consent or authorization of the spouse of that person be obtained. The term “broker-dealer” is broadly defined in Corp C §25004(a) to draw in issuers of securities. Community real property. Both spouses (either personally or through an authorized agent) must join in the execution of any instrument by which community real property is sold, conveyed, or encumbered, or is leased for longer than 1 year. Fam C §1102(a). But conveyances by one spouse alone of property titled in the name of that spouse to a lessee, purchaser, or encumbrancer acting in good faith without knowledge of the marriage relationship are presumed valid. Fam C §1102(c)(2). Regardless of whether both spouses sign a particular document, each spouse has potential liability to the other for a breach of fiduciary duty because both spouses have fiduciary duties to each other with respect to the management and control of their community property. Fam C §§721, 1100. This means that each spouse has a duty to act with the highest good faith and fairness towards the other, and neither spouse can take any unfair advantage of the other. For extensive discussion of the fiduciary duties of spouses in family businesses and family financial transactions, turn to CEB’s Understanding Fiduciary Duties in Business Entities, chap 6. Get guidance on executions and signatures, including sample forms of spousal consent, in CEB’s Drafting Business Contracts: Principles, Techniques & Forms, chap 18. 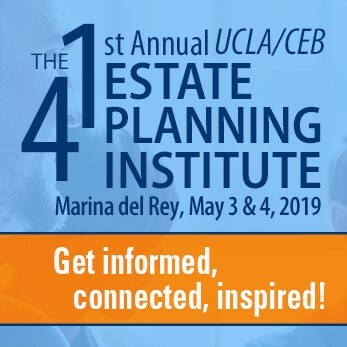 Also check out the discussion of contractual obligations with respect to the spouse of the person entering into the contract in CEB’s California Law of Contracts §4.43. Let’s Buy a Beach House Together! Or Maybe Not.